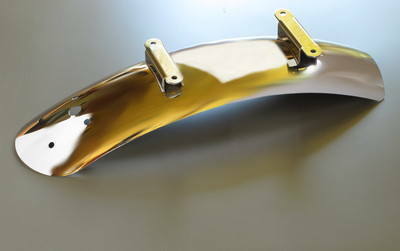 Stainless steel (304) bobbed cafe rear fender to fit the Kawasaki W650. Overall length 450mm. Width 117mm. Taillight mounting holes are 48mm on center. It will accept our Polished Stainless LED Taillight, or other Yamaha taillights.